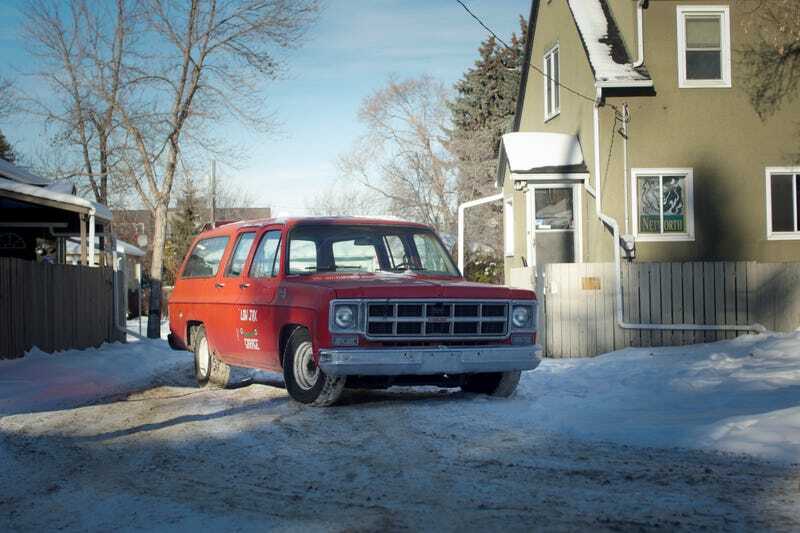 It’s a 1977 GMC Suburban, 350, with a 4-speed transmission, and little to no exhaust. Still needs winter tires because this thing slides everywhere on Baldini’s. What do want to know about it, Oppo?